Straight from Christmas Island, Kidrobot has teamed up with SEGA to release the highly anticipated Sonic the Hedgehog Vinyl Figure! 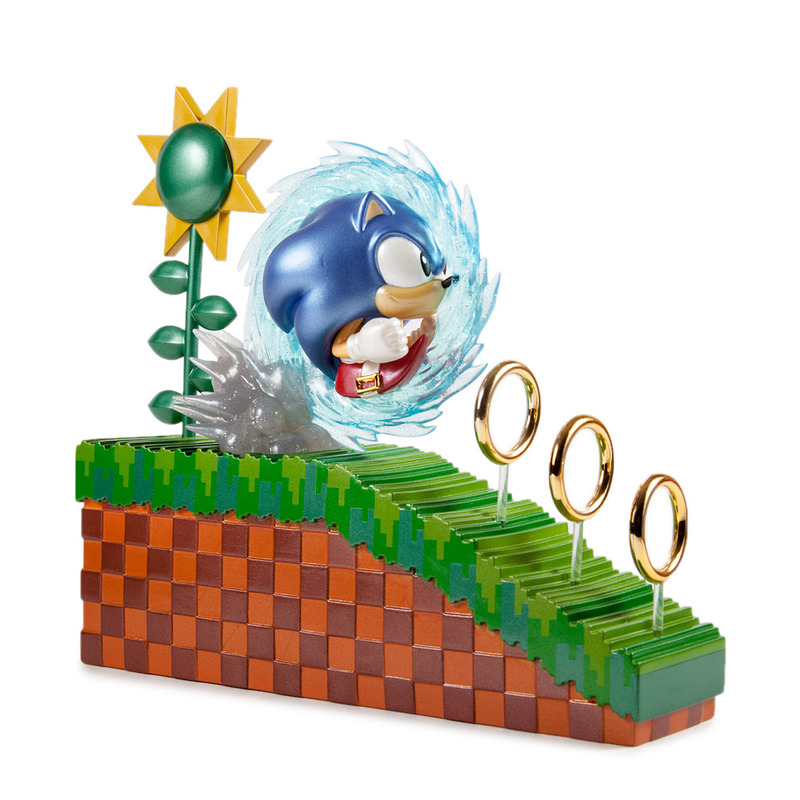 This medium size figure uses iconic features from the video game to celebrate the 25th Anniversary of the Sonic the Hedgehog franchise! 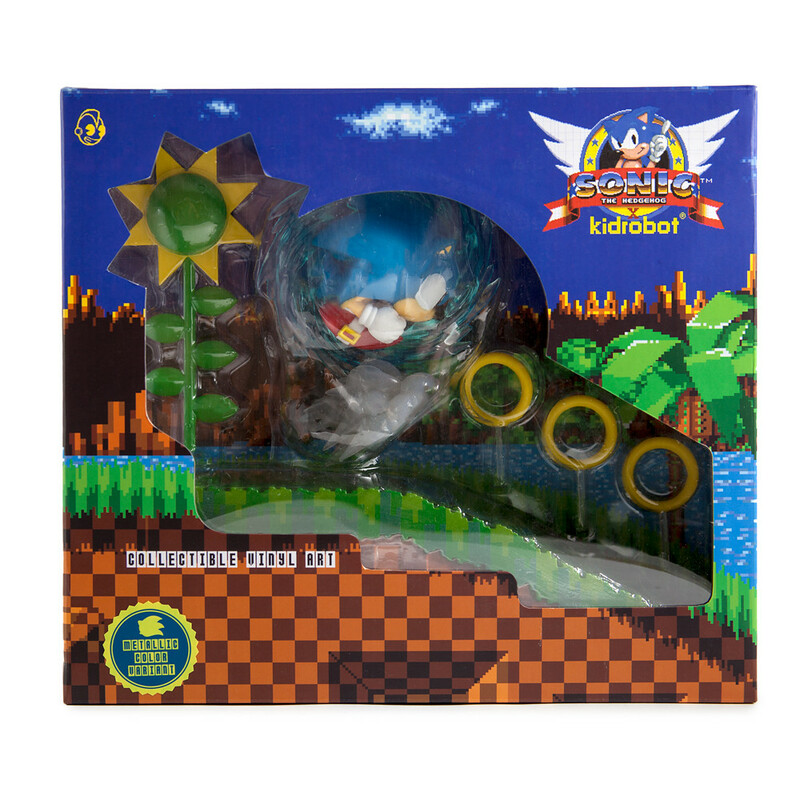 This incredibly designed figure, which recreates an actual scene from the game, is available now in two colorways: Original Edition and a Kidrobot Exclusive Metallic Edition limited to just 200 pieces. Add both of these blue blurs to your collection today before they get away forever! The Sonic the Hedgehog medium figure measures 9.5” wide x 8.5” tall x 2.5” long figure. Collectors can purchase the original edition Sonic the Hedgehog figure now at Entertainment Earth for $75 here, and the Metallic Variant exclusively at the Kidrobot online store for $75.